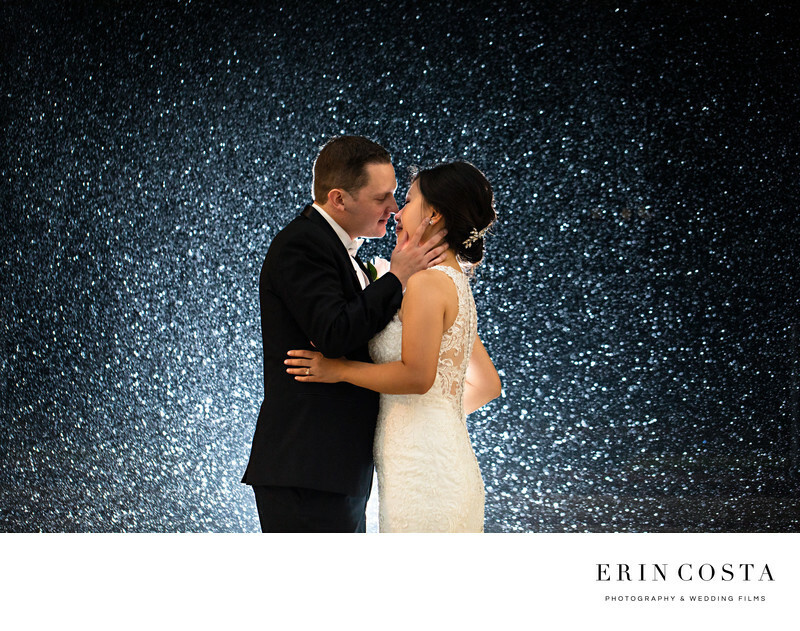 Who says rain on your wedding day is bad? We say grab your partner and run outside and embrace the rain for the most romantic wedding photos. This photo of Lan and Matt was captured in Raleigh, at Raleigh wedding venue the Glenwood. Location: 3300 Woman's Club Dr, Raleigh, NC 27612.